We have been in Singapore for about a week visiting with a great friend of ours. During the day he goes to work and we go to … see the sights? If you’ve visited Singapore before you probably clicked on this link wondering what there is to see in Singapore. 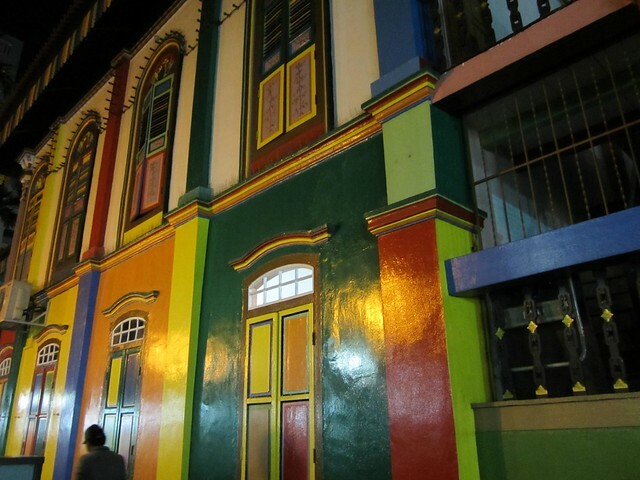 The city is not filled with touristy sights—but you can get out in the city and truly experience the different neighborhoods it offers. Each one has a different personality, and all it takes is a SMRT bus/train ticket and two comfortable walking shoes. Here is a list of 7 great places to get out and enjoy the city. East Coast Park – One of our best days was spent biking in East Coast Park. It is a huge beach park measuring over 9 miles in length. This park could keep you busy for days with activities, dining and a beach for simply relaxing. The first thing we did was find a bike shop and rent bikes. Most cost $6 – $8 (depending on size) for 2 hours. There are a couple of options no matter where you start in the park, you should find one nearby. Ride your bike along the beach, stopping to watch the ships at the harbor and see the fishermen on the jetty catch some squid. If biking isn’t your thing, there is a Cable-Ski park, roller-blading and beaches for miles. If you are on a budget, stop by the grocery store on your way in and pick up some snacks or lunch to make a picnic in the park, or try the famous chili crab at one of the restraunts scattered all along the park. The shade of the lush trees and breeze from the beach helps to cool down the hot Singapore weather. 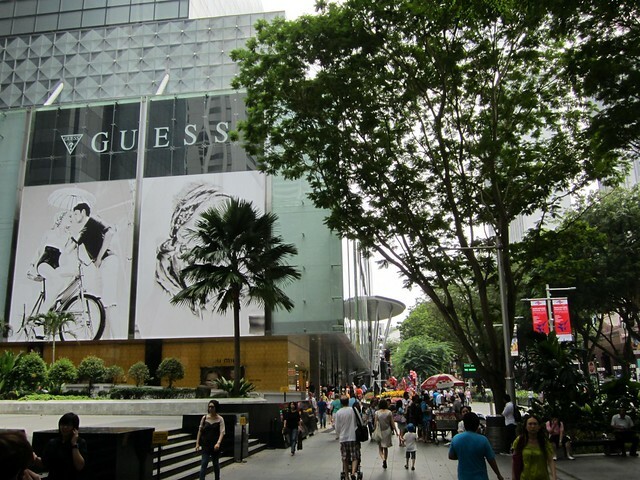 Orchard Road – Shopping galore. Every high-end brand you can think of can be found on this endless stretch of stores. This road has quickly became one of the major tourist attractions in the city offering a mix of local and global fashion statements. When you need a break from shopping, check out one of the many food courts located in each mall. These food courts cater to any type of asian food you are craving and are fully air-conditioned to either give you minute out of the heat or a safe haven during an instant downpour. If you are visiting this stretch of road, be ready to be tempted by fashion, electronics, food and more. Even if you aren’t a big shopper, the busy malls make for a great people watching spot. Grab a coffee or bubble tea and sit and relax. Little India – Arriving in Little India you can instantly feel the difference from the rest of Singapore. You are overwhelmed with colorful signs, delicious smells of food and spices. Walk along the main road admiring the fruit stands, numerous stores and delicious vegetarian restaurants. We visited Mustafa Centre, a discount department store that houses anything and everything you could dream of buying. Walking through this 5 story building is an event in itself. Stuff is everywhere, people are around every turn and 2 hours later you realize you have only made it through a few floors. It is hard to walk out of here empty-handed! Finally, you can’t leave without trying the food. There are many options for every price range, there will be plenty of people outside showing off their menus and urging you into their restaurants. Check out a few menus and find one that you think looks good and give it a try—you can’t go wrong! Sentosa Island – Asia’s Playground. 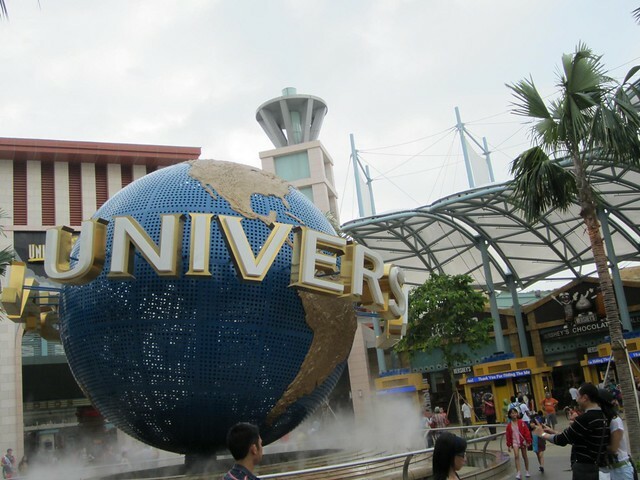 Whether the family is visiting Universal Studios, dad wants to play a round of golf, mom wants to shop or the kids want to jump into the beach, almost everyone can find something on Sentosa Island. Take the cable car across to the island and you will get to enjoy the beautiful Singapore skyline and aerial views in all directions. Once you are on the island simply start walking in any direction and you will run into a new adventure. Hotels are offered so that you can get the full experience of all the amusement parks, nature walks and dining opportunities without leaving the island. There is more to Singapore than just this small island, but if you are looking for family-friendly activities stay on the island for a couple of nights. Night Safari – This nighttime safari, penned as the world’s first and only, is a great way to change up your typical zoo visit. 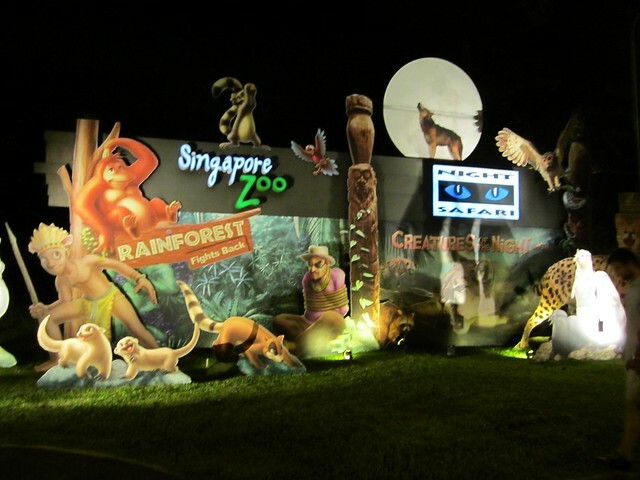 If your family loves seeing animals, the night safari allows you to see them in a different perspective. The 45 – 50 minute tram ride around the zoo starts after the sun sets and runs until 11 pm. Animals such as elephants, lions and tigers are only meters away from you with no cage, and only a moat separating you from the most dangerous. While most of these animals sleep during the heat of the day, you see them moving about at night, and possibly crossing the path in front of your tram! Don’t go into the night with wild dreams of a dangerous safari through Africa, as this is mostly a family friendly zoo ride – but it definitely adds a different twist. 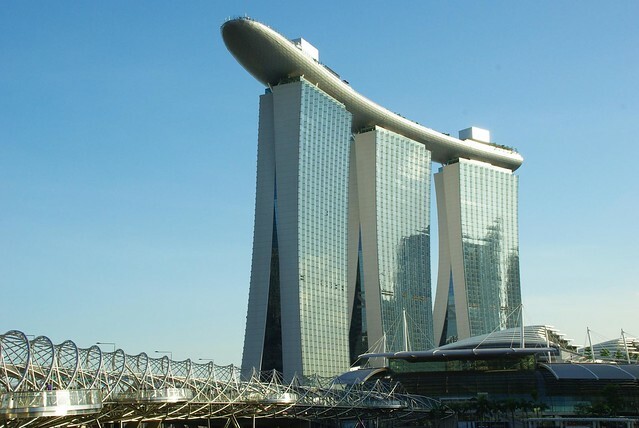 Marina Bay Sands – Marina Bay Sands is a fully integrated resort with shopping, restaurants, a 2000+ room hotel and an infinity pool that will make your jaw drop. We were lucky enough to get a tour of the Skypark and the infinity pool. All I can say is WOW. The Skypark is open to the public for S$20 to view unbelievable sights, or make a reservation at Ku De Ta and have a drink while you overlook the skyline. From 57 stories on a clear day you will be able to see for miles. The infinity pool on the other hand is only open to hotel guests and I will vouch for it, it is worth booking a stay at this hotel. The pool is an experience in itself. You can swim directly up to the edge of the building to look over at the skyline, or lounge in a submerged chair in the pool while you drink a cocktail on the 57th floor! Clarke Quay – 5 blocks of restaurants and nightclubs will entertain you for your nighty escapades. If you haven’t caught on, there isn’t a building in Singapore that doesn’t offer you a full shopping experience. You can find shops here to walk around, but on any given night you will see the bustle of hundreds as they feast and drink until all hours of the night and sit outside enjoying the breeze off the water. Tourists and expats alike mix at this recently renovated hot spot. Higher-end hotels as well as budget hostels for backpackers are located along this area making it walking distance or a short bus ride from where you are staying. 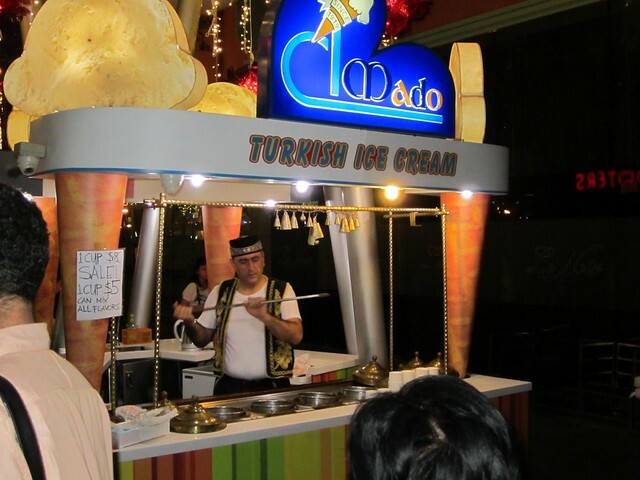 We suggest trying the Turkish ice cream from the stand in the picture. He is quite entertaining and the ice cream is good too! For a small country, Singapore actually has a lot to offer tourists. Even if you don’t feel like going to any of these sites, the weather, the greenery, and the friendly people are enough to keep us happy. My only suggestion is to budget accordingly… LIfe in Singapore does not come cheap!